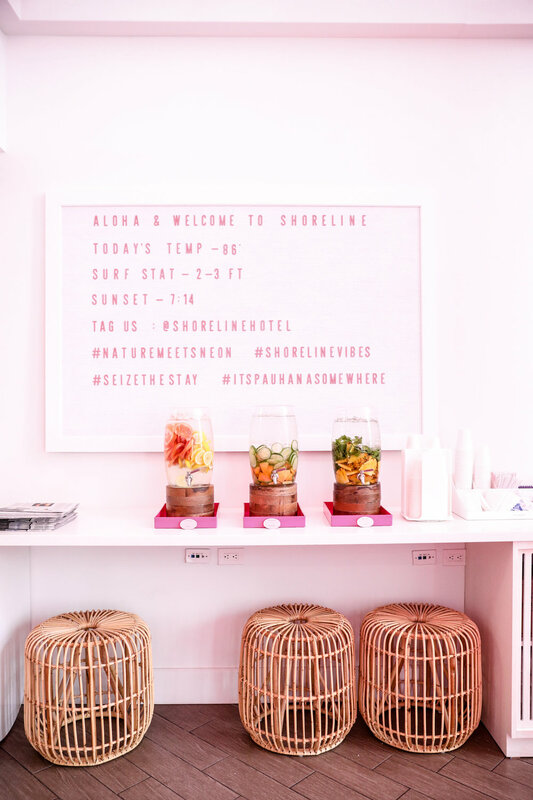 The Shoreline Waikiki Hotel is in a great location where restaurants, bars, and the beach is all within walking distance. 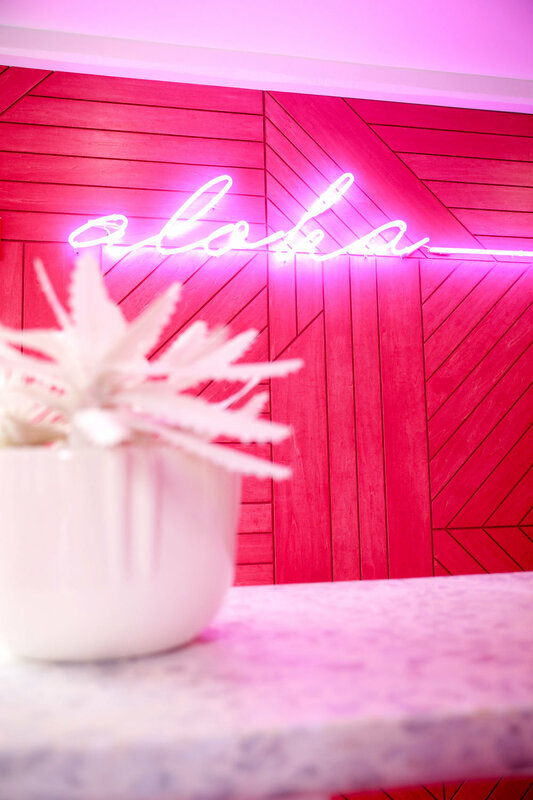 With such a vibrant color palette, the hotel makes it fun and inviting. Heavenly Island Lifestyle right downstairs from the hotel. My skin has been feeling so hydrated and dewy lately thanks to a new facial mist I've been using. Recently I had the chance to try the Rosewater Facial Mist by Roses N Rosé and I'm so happy with the results. After the first use, my face felt super hydrated and it gave me that nice dewy look the entire day. I love that it smells like roses with each spray. I applied it before my moisturizer so that I can give it extra time to absorb into my skin. It's super quick and easy to use, and has now become a must-have in my skincare routine. It’s actually best when used on the go. Facial mists are becoming more popular now here in the U.S. There are several kinds of facial mists out there, so it is up to you to try them out and choose the one based on your skin needs. The main reason why I'm using it. With daily use of makeup and washing my face, it's always a good idea to give back that moisture that is much needed. Especially when you get those occasional breakouts, facial mists have anti-inflammatory properties that can help reduce redness and inflammation while soothing your skin. With a spritz of facial mist throughout the day, it serves as a protective barrier and shields your skin to help keep dirt out of your pores. With it's quick drying and non-sticky finish, it keeps your makeup looking fresh and dewy all day. The best thing about the Rosewater Facial Mist by Roses N Rosé is that it is made of all natural ingredients without being tested on animals. Visit them at www.rosesnroseco.com. If there's one thing I love doing, it's trying out new skincare products. I was given Volition Beauty's newest innovation, the Jetset & Protect Leave-On Mask, to try out before they went up on their site. When I received it, I thought I was only going to see the product itself but they included a carrying pouch as well! Although I don't have any plans of traveling until summer (at least not that I know of), I wanted to use this mask as a way of adding extra moisture to my skin. It can get a bit dry especially from constant wear of make-up. I like to squeeze in a face mask as much as possible during the week. Since this mask is meant to last 24 hours, I decided to try it with my morning skin regimen. 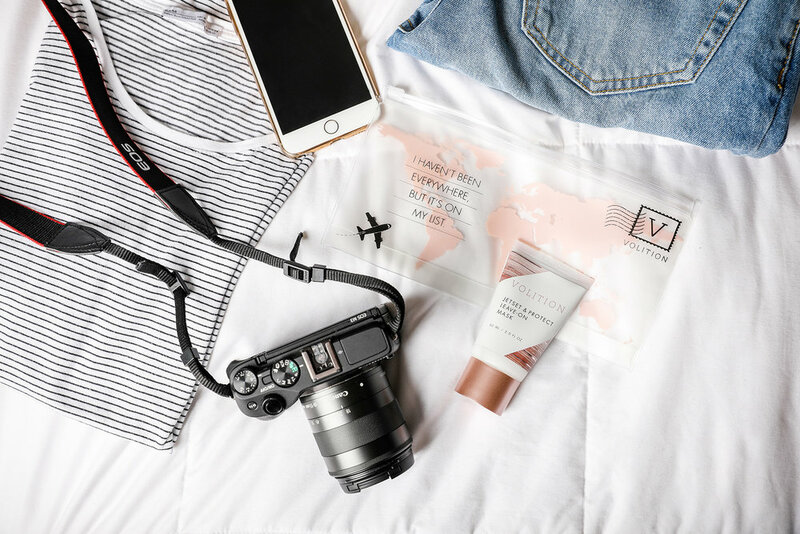 The Jetset & Protect Leave-On Mask did everything that a face mask would do, and more. Not like the masks I'm used to, this one felt more like a creamy moisturizer that you allow your skin to absorb. It had a nice cooling effect when I applied it, and also kept my face soft and hydrated for pretty much the entire day. You can find this mask now at Volitionbeauty.com. When I was younger, I was completely obsessed with Hello Kitty and just Sanrio in general. My mom would always buy me their stationary sets and I would go back and forth with my friends writing letters to one another. My whole room was filled with Hello Kitty decor from my blankets, to my wall art, and just any accessory you can think of. The first time I heard about the Hello Kitty Cafe was when they opened up in Irvine. It was a pop-up shop before, later turned into a permanent location. 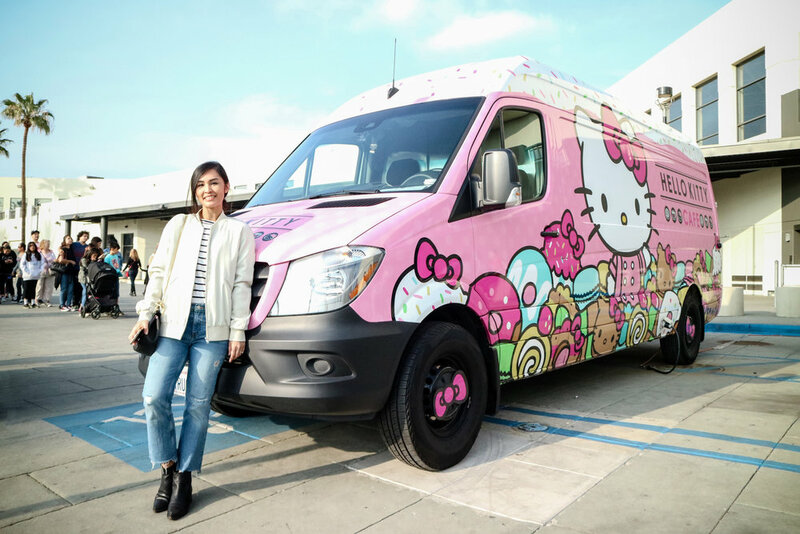 So you know I got excited when I found out the Hello Kitty Cafe Truck was coming to Burbank for a day. Their menu was a bit more simplified compared to their actual cafe in Irvine. None of the drinks were on the menu, but they did have a few of the desserts so of course I had to get all of them. And if you were to spend over $25, you received a free mini tote bag. I have to admit, they're so cute I don't even want to eat them. The fact that they'll disappear within a few minutes if I allow myself to makes me sad. But I did try one of each already and they are delish! Check out their instagram here to see where they head to next! I recently painted my walls and am so happy with how much it opened up the place. Now, I wouldn't say it's easy choosing paint. There are actually a lot of things to consider when choosing the right color and I wanted to share with you a few tips that will hopefully help you when you get to that point. And I'm just talking neutral colors that would cover the bulk of your walls. Pinterest and home catalogs are a great place to start with inspiration. Look for images that fit the style of your home and save any images that catches your eye. I already knew that I wanted a shade of light grey. This is something that I should have done! But I am telling you now: get paint samples before you buy a gallon of paint, otherwise you are stuck with that color. What I did do was visit the closest Home Depot and looked at their variety of grey swatches. I picked out my favorite ones, took them home, taped them on my wall, and compared them all. I compared each of them during day light, and also compared them during the evening when I had the lights on. You want to know what each shade looks like throughout the day because they do change. After choosing my top 3 shades of grey, I compared them all next to my furniture and cabinets to ensure I make the right decision. You want to see the undertones of each shade so that when light hits it, the color will still look the way you want it next to your furniture and cabinets. You don't want to choose a color and find out it has more of a cooler undertone when you wanted something warm. Gloss: Has a smooth, high-shine finish and is very reflective. It can be used on cabinets, trims, and moldings. Semi-Gloss: Shiny but not as reflective. Can also be used on cabinets, trims, moldings, or high moisture areas.